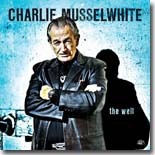 Blues veteran Charlie Musselwhite returns to Alligator Records with a real nice CD, The Well. It's this month's Pick Hit. California artists Rick Holmstrom, John "Juke" Logan & Stephen Hodges collaborate on the raw, swampy blues album Twist-O-Lettz on Logan's label, Mocombo Records. It's this month's Surprise feature CD. This month's Flashback features the reissue by Delta Groove Records of 100 Miles To Go, originally released in the mid '80s by Mitch Kashmar & the Pontiax. A bonus on this release is the inclusion of two new cuts by Kashmar and his old bandmates. Wow! Our What's New section features new releases from Eden Brent, Duke Robillard, Bob Corritore, JW-Jones, Dennis Johnson, Snowy White, Joe Louis Walker, Steve Freund, and more.